At Liberty Christian School, children are provided Christ-centered programs of the highest standard, establishing the framework for an excellent education. LCS prepares students intellectually, spiritually, socially and relationally to meet their responsibilities in life, stressing God’s Word as the center of each child’s life. We believe that all truth is God’s truth, especially in the areas of history, science, mathematics, language and the arts. 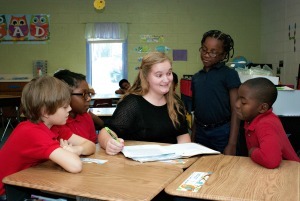 Our focus is intended to promote a program of academic excellence and develop godly character in our students. With Scripture as our ultimate authority, we trust we can make a difference in the lives of our students who will go on to impact the society in which we live. It is our goal to produce well-rounded students who understand their value to our Creator and to encourage children to do their best in every academic area to the glory of God.